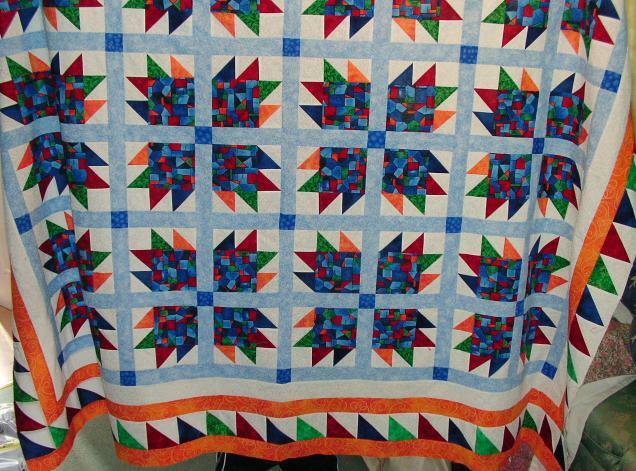 Your rendition of Judy’s pattern is gorgeous! The orange borders are just perfect. The orange really perks it all up! on April 5, 2009 at 5:34 pm | Reply Mary-Kay C.
Wow, what an awesome quilt. The colours are really bright. It reminds me of a tropical vacation without the Hawaiiain shirts. Ah, you’re inspiring me to finish my quilt. I love your colors! It’s beautiful! I love the orange. Isn’t it great how they are all so different??? I know what you mean about obsessed, that’s why mine is quilted. It kept calling me. 🙂 I hope we get to do another quilt along. I love how your bear paw is coming along. Very Nice! I haven’t started step 5 yet but it is on my list to try and work on for this coming weekend. Wasn’t that quilt something! They all turned out so differently, but all are quite nice. 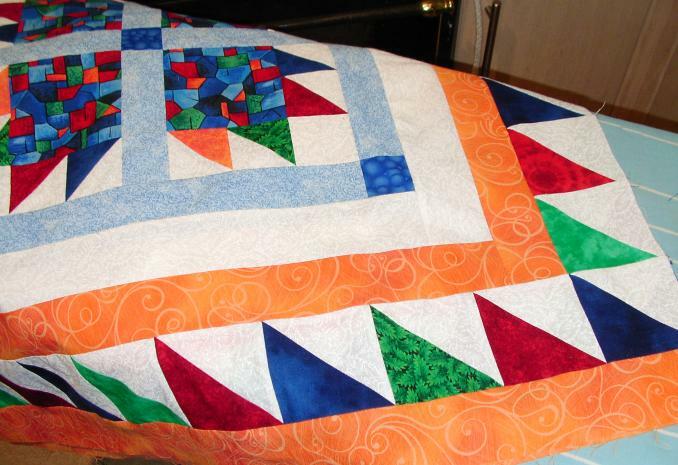 Mine is off at my longarm lady’s place – I’m not good enough yet to quilt it myself – beside the part about it being very large! Your Klee focus fabric was a good starting place.